Rinpoché looks at the vast potential presented by the unique characteristics of a human rebirth and how such potential can be utilised on the spiritual path. Ok so, this external preliminaries, or you call foundational preliminaries, we have already discussed two. Karma and samsaric weakness. Which means is a little bit similar within the Four Noble Truths. The first, the suffering and the origin of suffering is similarly. When we talking about samsaric faults, we talk about the similar of this nature of suffering. Or we can say we talk more specifically and more individually and more details. We not summarising everything but we talk more about details. What the samsara is, we categorise as six realms and then we talk about the nature of the samsara. So whether you call nature of samsara or whether you call samsaric weakness, actually just same, very similar. As long as in samsara, then more weakness than good quality. Then we talking about the karma, directly we talking about karma but indirectly we talk about the afflictions and the karma. So the afflictions and the karma, these two summarise everything about the origin of suffering. That’s why is basically we covered that, the first Four Noble truth. So now, we look at, “ok, yer, this samsara is really, wherever, whenever, from the beginning, all the process, everything is not that good”. We kind of try to understand that. And then also we try to understand the force behind this samsara, then we look at karma. Then we realise the karma dominates everything, almost everything, all the primary forces is karma. So then we could arise kind of like a little bit negative view. Ok everything our existence is dominate karma, and dominate samsara, so that means there is not much goodness in our way of being. So kind of like that attitude could arise. So today we look at our birth, called our precious human birth. Not every single human being’s human birth is precious, but we have more likely have a precious human birth. So we look our wellbeing and say “have we got the precious human birth? Can we generate some good qualities? If we haven’t got some qualities?”. So that is our main subject. But before that, I would like to summarise a little bit more than precious human birth. Or we can say, look at a little bit broadly. So think of this, first, when we talk about samsara and the karma, everything and twelve links origination, then seems like everything we have really difficult situation. So then there is no doubt we seeking for Buddhahood, but what possibility we reach Buddhahood? Because everything we have now is like samsara, like 99% is samsara, everything and weakness. So how we, this big, huge conditions, we eradicate and gain enlightened qualities. How is possible? That we should look at. So the answer is yes, actually, we have more possibility unveil our enlightened true quality, rather than samsara, will be in samsara forever. Which one is more likely? The answer is more likely to reach Buddhahood. Then could be you think “how is that possible because 99% our way of being, everything is like samsara now. So how come that more possibility enlightenment?”. The answer is because the true reality or ultimate reality or absolute reality, our reality is enlightened. For this reason, no matter temporarily we are the samsara and 99% kind of like our existence how weak, is still more chance than we’ll remain in samsara for ever. So think about, let’s say a powerful king, prince, lost some remote area or something like that and people treating them as slaves or something like that. But this prince have much more chance, this is not forever. Something like that any examples you can think of. No matter what situation temporarily, the most fundamental truth you have, will unveil. So that’s why we have enlightened quality in our absolutes truth is already enlightenment. Otherwise we even wouldn’t bother, you know try to get from samsara, it’s impossible. If our true quality is evil rather than angel, or whatever you call, and then impossible, but the real truth, our true nature is Buddha nature that’s why. So now you have to think of, yes, ok that is our absolutely true nature, but, in this reality we are samsaric reality. This relative reality, everything is samsaric reality, so how is possible even start unveil our ultimate truth and will reach the full potential? How is possible? 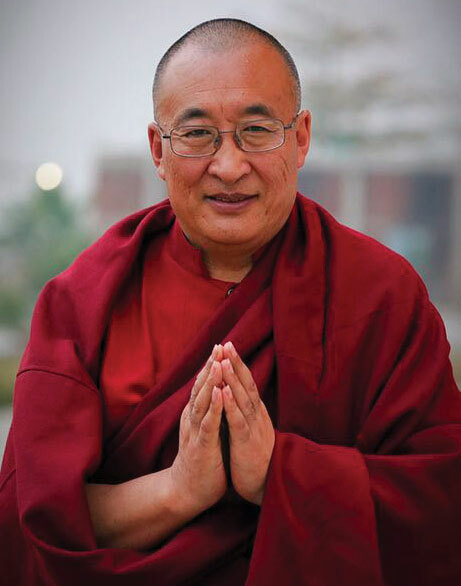 The reason is possible is because we not have only just ultimate nature of Buddha nature, but also we have the nature of Bodhicitta, the nature of all the good qualities already we have, the propensity. We have this potential in the relative level. So that means we have ultimate level and relative level, both we have this potential. This I’m not talking about we have, I’m not talking about we just in this room people, not talking about the Buddhist people, I’m not talking about all human beings. I’m talking about all sentient beings, everybody had that. Every sentient being have these two qualities. The ultimate Buddha nature and the relative good nature. Both everybody has. That’s why we, everybody has hope. Why? Maybe you can think of why we have these good qualities. So think about this, because no matter how long we’ve been in the samsara, how many times we have suffer and how many times we mistake, doesn’t matter. Our true reality, Buddha nature remember, for this reason we not always so bad. We not always everything is so bad. So that’s why we have qualities, good qualities, time to time we generate. Because of we have Buddha nature that’s why and that’s why every time we generate good qualities, such as loving kindness, compassion, anything, every time we generate this, we leave propensity in our mind stream. So this always arise. This makes causes and condition in the relative level. So almost impossible you not making any good qualities. Doesn’t matter in the hell beings, living in the hell, 24/7 suffering, still do they, should they have some good qualities, some good propensities in their mind stream? Of course, yes, otherwise they forever in hell, but that is impossible. It is impossible any sentient being forever in hell, impossible. So for this reason, we have all these good qualities, both ultimately and relatively. But when we talking about precious human birth, then we become specific, we not talking about the all sentient beings quality. We talking about humans, and also we talking about particularly humans within the human beings. So then we look at, do we have these cause and conditions? If does, that means we have much more chance and condition to practice Dharma. If there is some missing, and then can we generate them? If yes, then, so we know how to learn, learn how to generate. So there is more eighteen conditions, and more if we look at. So first, eight freedoms called and ten fortunes. So eight freedoms kind of like, for instance, we are free from hell, not talking about forever, right now in this temporary rebirth, is free from hell, we are not in hell, impossible we experience hell suffering. That means we are free from hell. And we are free from hungry ghost, we are free from animal, we are not animal. And we are free from long life god, which means the god realm. You only stay in the meditative state until you finish your karmic cause of the meditative and then we finish. Until then, there is no chance you make negative karma, but there is no chance at all, zero, you make positive karma. We are not that. If we are in that birth and then eons we have no chance to practice enlightened path, but we are not there. So free from these four realms. And then, we are not barbarians. What means barbarian? Barbarian means really you don’t know what is right or wrong, that kind of. So we should not be that kind. Maybe our certain qualities may be similar to barbarian, but cannot be everything, impossible. And also, that’s one thing, that’s five. And then six, we are not *****(24.16 uses Tibetan term). Which means we have probably, we have no wrong view. Which means, wrong view means, there’s many ways you can describe wrong view, but according to the Buddha, simple way, we believe cause and effect and we not thinking the cause and effect is completely rubbish, the karmic cause and condition is absolutely rubbish, definitely rubbish, that is nonsense. Probably we not thinking that. If you think, that then is really close to wrong view. And also there’s eons the times no Buddha ever appear, any enlightened beings not appear and then this sentient beings have no idea what is enlightenment at all, zero. But we are not born that eon. So that’s why we are not….that’s for sure, that’s for everybody. And we are not mentally disabled. We are not mentally disabled, we can discuss, we can think. So that’s why. So this four and the other four together, we are all free from this. So that’s why is eight freedoms we already have. And then ten fortunes, five one side and five oneself side. One side, oneself side, we are human, we are not born something else, rather than we are human being. Not only we just being human being, we are not born somewhere completely remote, you can’t hear anything spirituality, not like that. We kind of born somewhere with access to the spirituality. And we are, we have all faculties, we have all faculties. So that means we can have many ways we access Dharma. We can read, we can hear, and we can think, we have many, many ways. And we are not extremist. So which means, extremist if you are like you don’t believe anything rather than your five sense to see, so we are not like that kind. We can feel, we can intuitive, we can think, we can have logic, so we are not like that kind of. And also we are not like extremist, like really religious extremist, we are not that as well. Religious extremist means like if there is good religion and you extreme then that’s ok, but you believe sacrifice animals every week, or every month at least you have to have sacrifice, you have to kill animals, you have to offer blood, or something like that and then we are absolutely fixed on this. We are not that kind of. That means little bit more, you have religion but your religion is really harmful religion, so you are fixed on this, that means you are extremist really. We call *****(29.26 uses Tibetan term). And the other side before I said, you kind of like you don’t believe anything, completely atheist, that kind. We are free from these two. And then the last one we call *****(29.53 uses Tibetan term). Which means we are not extreme arrogant and we have, we must have some humility. So there is chance we can respect others. In this case, respect means, we’re not talking about respect means respects somebody’s rights and your not walking somebody’s toes. We’re not talking about that. But more we talking about we have some humility, so we believe someone above you, and we believe we can emulate and we can inspire by somebody. So something like that, those things we have. Some people if they don’t have anything like this,” I don’t, there is nobody above me. Everybody equal or I am superior”, even worse, even you think everybody is equal there cannot be at all. Some philosophers I heard like that. I’m not sure that’s people talking just only political correctness, or they really believe, but kind of saying everybody different but there’s nobody superior or inferior. So nothing wrong about having superior and inferior, because then we can inspire by the superior one and we can become like the superior one. There must superior ones, otherwise everybody suffer forever, that can’t be right. So that means also there is no enlightenment. There’s no enlightenment if there is no superior and inferior. And if there’s enlightenments, then should be some degree of superior inferior. So if there is superior and inferior then we have chance to respect and admire. And the other five is Buddha appear in this world. Sometimes even Buddha appear, doesn’t necessarily teach, Buddha teach. For instance, seven weeks Buddha didn’t teach from beginning. So during that time sentient beings, only that time live, for them, these eighteen conditions not ready, because Buddha hadn’t taught anything yet. But we are under the reign of Buddha taught Dharma. And Buddha taught Dharma, but this Dharma could be degenerate and disappear one day, but during our time, not completely degenerate, a little bit degenerate, but still not completely degenerate. But degenerate means also by people, not Dharma. Dharma itself you cannot degenerate at all, but Dharma is people’s practice, people’s quality, so people generate Dharma, a little bit degenerate, but still there’s chance we can practice very pure. And also, the second one is, the third one, not just Dharma exist, as like story, or as like museum. It’s not like that. There is a custom, culture and custom to practice that still exists, for now for us. Not only this, and there is loving and kind people we can find to assist our practising Dharma. So that is five, and this five from oneself are from the outside, together ten fortunes and the eight freedoms, together, eighteen qualities or conditions we can analyse. Do we have this? More likely all of them we have, but you have to check your individual, yourself. And there’s more other qualities, you can thoroughly look at, other sixteen factors from I think Nyingmapa tradition, *****(35.50 uses Tibetan term). Oh, was *****? (35.53 uses Tibetan term). Jigme Lingpa *****(35.56 check Tibetan name). I think taught. So we not go details that today. But what saying, the main point is here, do we have this? All these eighteen conditions and qualities? Then if we realise yes, oh wow, oh wow! We are so fortunate. How many people have this? And then you have to compare. Ohhhh, very little, and then you, thoroughly, very little. The you realise firstly, humans, human birth is so precious than any other birth. But then also you realise, our human birth is so precious than normal human being, normal human being. If you don’t realise that, that means you need to think more, think more deeply. So first, among all sentient beings, how human is rare, many ways. How you find the causes of human birth and the example of human birth and the number of human birth comparative. These three ways is so precious and rare. First one, the causes of human birth, only project by virtues, not non-virtues, not anger, jealous, all this cannot project human birth, impossible. It must be, has to be virtuous. But not only just virtues, virtues created by who holding precepts. Only this projects human birth. So that means we must hold precepts some time ago, some lifetime, otherwise we wouldn’t be live human, this type of human right now. Beccaue Buddha said. Also, not just we hold precepts, but we must made some accumulation merit. And also, we must have some pure dedication, otherwise we wouldn’t complete this karma, we wouldn’t encountered even the Dharma. And then, if we think of the number of sentient beings, how rare as human. We have only seven billion human beings on this earth, as far as our knowledge. And how many animals? How many insects? How many flies? How many fish? We cannot count impossible, impossible. We cannot count even ants in one place, ants or bees or you know, it’s just unbelievable. But these animals, only we can see the sentient being. So our seeing sentient being and not seeing sentient being is just you cannot compare at all, just very little. So all the sentient beings, all kind of sentient beings, like all the dust on this earth and animals we see is one bag of grain comparatively and then human we see, may be just one bowl of grain. But Buddha said the hell beings, he said the dust of the earth, the hungry ghost is Ganga river sand, and the animals as, you know, there’s a place called… many, many…. bees, bee farm. But that is comparatively talking. So then he said god and human is only dust on my nail. Then we are precious human birth even in this small. So then so little, so little. So think of gold or diamond or anything very, very precious and rare and expensive ones in this world. And our precious human birth, who has really all these conditions and qualities, very rare. That means we have much more chance have these qualities and conditions if we provide very well, if we be mindful very well. So think about how difficult to gain another precious human birth. We can see easily. How many people are practicing Dharma in Victoria? Properly. Some people maybe just pretending to practice you know. But really genuinely, how many people are practicing Dharma? How many million we have in Victoria and how many practicing? How many you met? Every day you meet people, your work, your customers, how many you met who practice Dharma properly? Think of these things, so easy, so easy to think is so rare. Rare means precious for us remember? If it’s not rare, there’s no precious. Anything not rare, too many, then not precious anymore. So if we think of this all together, this human birth is so precious and so rare, which means so hard to find, yet we found this time. It is unbelievable, whatever you call a miracle, or whatever you want to call, we have now. So what do we have to do? We have to use properly. The precious human birth we use for precious, we not waste, we not do you know like diamond container for rubbish bin. Something like that. That means all sentient beings have Buddha nature, but so many eons still in the samsara, over and over, everybody cycling, repeating cycle in the samsara, remain repetitively. So why? Because hardly ever gain precious human birth, hardly ever gain human being, human birth. But when, maybe once in 100,000 eon times later, once you’ve gained human beings but maybe you use the wrong way and because humans so capable to do wrong things as well, much more capable than animals, so they did this, and then you have billion, trillion eon times you are sending lower realms and other rebirth, so like billion trillion lifetimes later only maybe you can gain another human birth, maybe. So that’s why is so slow. But this time, right now, we realise we have the precious human birth, no matter how we are in samsara, but we know, doesn’t matter….ok let’s say the sun is gone, everywhere dark, so everybody don’t know where to go. But if you know, you find a way, then no matter how long it takes, you now I will get there. But the others, they wander around, wander around, wander around confused and never know you will get there. So of course they have no direction, directionless, so they wander forever. But when we realise we have the precious human birth, the most qualities we already had, some we can generate, the most conditions we already had, so the other conditions we can make. When we realise this, then our, this present birth really, really, precious, then we realise. 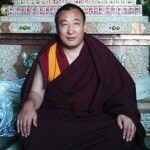 Then we realise we are so fortunate, so that means we have much more courage to practice Dharma properly and urgently. So why is urgent? In general, of course, the impermanence. Regardless we have a precious human birth, still under control, under the rule of the impermanence. That is sometimes good, that means chances both turns good and bad anyway, but on the top of this, especially our death is absolutely unpredictable. When we realise this then we take more urgency. If you don’t take urgency, that means we need more practice. We need more think, we need be more mindful, we need more conscientious. What does helps? That help enormous. Enormous, enormous, fast path. As Milarepa said, *****(52.46 uses Tibetan term) First I realise how the death is impermanent and unpredictable, so I am fighting, fighting the death constantly. So this push me to go on the mountain, forest and caves. Why? Because if you stay in the humanity there is distractions and there is social expectations and there is responsibilities in the samsara. So even you practice Dharma diligently, still only part time, you will never be full time. So the only way you can be full time, in the caves there is no human being, nobody expect you nothing. So he said I went on the mountains. What did you do on the mountains? He said I always constantly be mindful about the death. How does that help? Maybe some people think that makes you crazy. But didn’t. Instead, when you thinking of the impermanence and death, the Dharma is always with you, because Dharma is not something materialism we gain, it’s not somebody give you or you buy from somebody. It is in your mind and your actions. So when you moment thinking of the precious human birth, how rare and fortunate and hard to find again, and even this precious human birth is so unpredictable, loose and in this moment in your mind, like inseparable in your mind stream and then you do only Dharma, you don’t do anything else. You not seeking for pleasure, you’re not seeking for ego satisfaction. You only seeking or practice training your mind in Dharma way. Because you see this is the only I should do before I die, and you not thinking because most of our weakness, our habitual tendencies, we thinking the death is far, far away. And we think “I’m young, I’m healthy. There is no way I die today, tomorrow, next week, next year, month, next year.” We never think that. That’s true, you have to admit that. Yet there is no guarantee at all, that’s only habitual thinking. Habitual thinking. But if you switch off this and turn on the reality, unpredictable, and then you only do, everything Dharma. You don’t do anything else. So properly this is difficult for us to really in it, but that is just our thickness of karma. The habitual tendencies means is really thick of karma. Thick of the obscurations. So that’s why like Milarepa, or other similar yogis, you know the three nuns ones. No interest in samsara at all. So maybe we are not there yet but unless we talking about and there’s millions and millions of people never, ever heard that, and they never talk about those, so that means at least we starting, like some propensities, planting in our mind definitely. That is how start, everything start small and then grow. Everything we start very small. And then what did Milarepa do? I always constantly thinking on the mountains, only thinking this. He said that. That means he not thinking this in worry and increase anxiety, not that, he didn’t go that way. Usually, if we try to practice this, maybe some people did, and then probably lead to increase anxiety and then mental sickness, why? Because we don’t really get it, what is the point. That’s why we worry about when I am going to die, I die tomorrow and you fighting in the death, you only thinking that way, you understand that but you don’t understand there is solution. So Milarepa and these practitioners have no problem of this because they understand what is the solution. What is I should focus on? Let’s say, if we have something to wear under the t-shirt, bullet proof, but only one side, not back side. Say we have three people in this room, not this room but some other room, and there’s other fifty people. And one day terrorists come with guns but they have no bombs, only guns, think about this. So the other people absolutely frightened, but you are three people think “if I focus this way, always not that way, I should be ok, I should be ok”. You thinking that way. So similar, who understand Dharma, they thinking impermeant death, tonight tomorrow, is like that. They’re fighting death but also at the same time they have something to focus. So who has no Dharma, thinking, thinking of this time, like that people on the gun, in front of gun, have nothing to protect them, so their only thinking is fighting the death and worry and this, they can’t think anything else to focus. So similar. So in that way, if we go not wrong way and go to the right way, and then thinking precious human birth and losing condition of the impermanence death together, like you have perfect horse and you have perfect whip. So the horse is understanding precious human birth and the whip is understanding the impermanent death. So if you whip the horse, the horse goes faster. Or otherwise you can think of motorbike and accelerator. The impermanent is accelerator, thinking impermanent is ok, and the precious human birth is your motorbike, so you can go faster, faster and you accelerate and then you go faster. So similarly, when you have really understand and focus impermanent death, then your practice go faster, faster and your precious human birth more precious, more precious, because you taking the essence. You taking the meaning. So, if we do this, lead to where? And then lead to fearless of death. Why? Because this horse and this whip is so good, so you can go so far away and you are safe place. Similarly, this together, practice Dharma so well, and so many degrees of the deepening the Dharma and finally you realise, oh, there is no death, the death is only illusion. So this whole thing is just illusion and only just something illusion they call temporary relative truth, because truth for them. Just like we watching television and sometimes we forgot it is acting and that time for us truth, temporary truth. Similarly, we have this, when we realise this then ok it doesn’t matter. So for this reason, to be mindful, to understand and be mindful of precious human birth, and then accelerating the be mindful of the impermanent death. So you take essence very fast. So I think that is quite easy for you guys. This is only need for somebody listening new, so you all heard this many times, 100,000 times. So maybe we can do the practice. (Student 1.) Rinpoche, I’d like to ask a question please. Impermanent death, you’ve been using this term a lot tonight. I don’t quite get impermanent death. (Student 2.) Impermanence and death. Do you mean impermanence and death? (Student 2.) Is death impermanent? (Student 1.) I had an idea that instead of impermanent, it was imminent. It changes the story to become quite a bit clearer for me. When we say impermanent death, I said impermanent death, but impermanent death means, what I mean, maybe English, not correct, but what I mean, our death, we don’t know when, it is unpredictable, the time of death. Yes, uncertainty of time of death, we usually call that. The death is certain, the time of death is uncertain, that’s we call. (Student 4.) Is it impermanence of life? Not impermanence of death. Or both? Both, because impermanence death, which means, we don’t know when, so death. Is that it or not really. You figure it out. (Student 1.) It’s like a jack in the box, turning the handle, you don’t know when it’s coming. That’s too obvious, if there is anything wrong that is my limited language so you know. Too obvious.